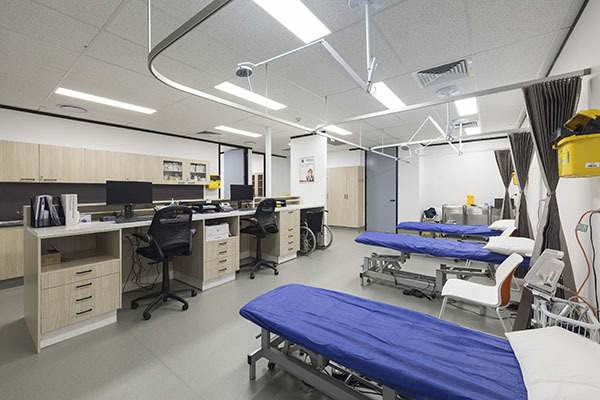 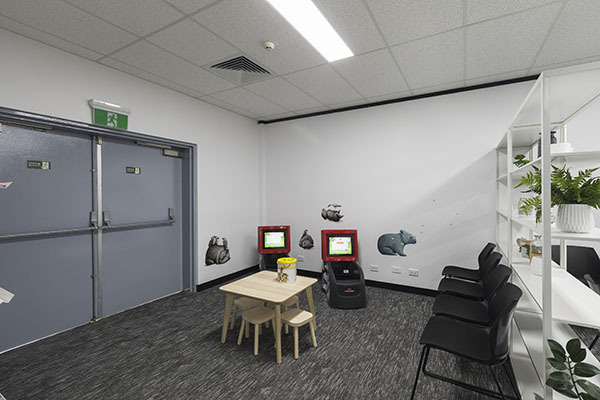 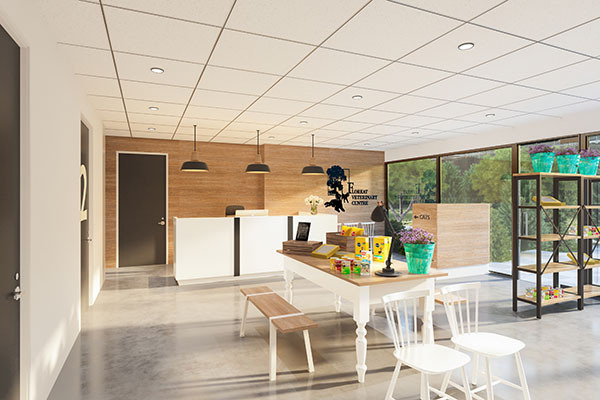 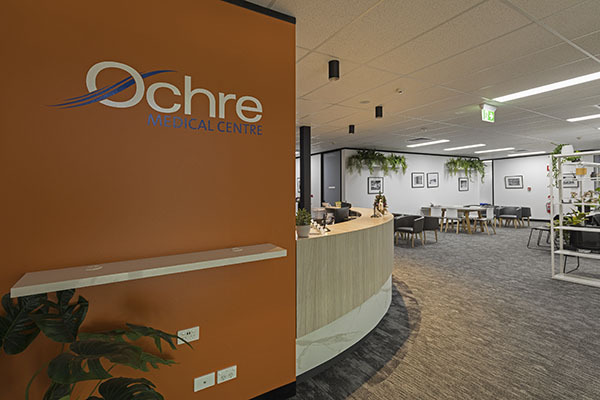 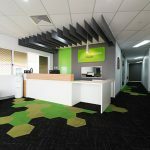 Ochre Medical Centre presented Interite Healthcare Interiors with a medical practice design project to transform the 898-sqm Magpies RSL into a contemporary, yet timeless, health hub; in which is now home to Ochre Kippax GP Centre, allied health, podiatry, physio, pharmacy and a cafe. 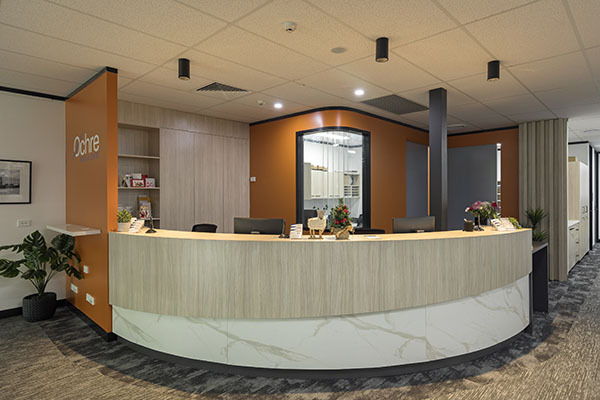 Interite Healthcare Interiors successfully delivered this flagship project exceeding all expectations, whilst conveying a definitive and refined corporate identity throughout the space. 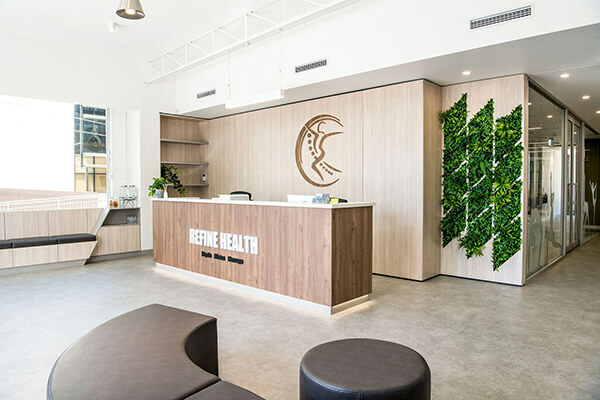 This has been achieved through the use of a sophisticated design palette that strongly incorporates Ochre Health’s visual branding through a modern interpretation. 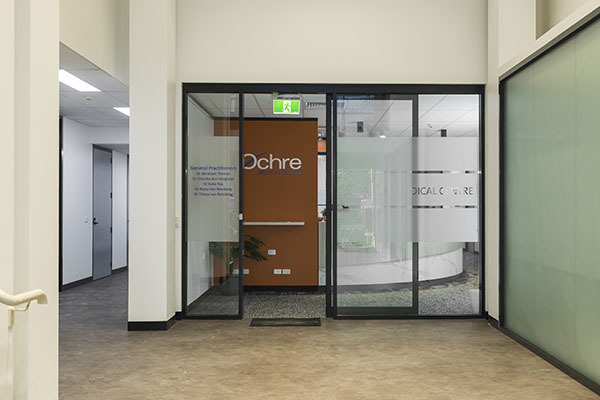 Ochre Health Kippax is a health hub which caters for the needs and wellbeing of the community, patients and staff. 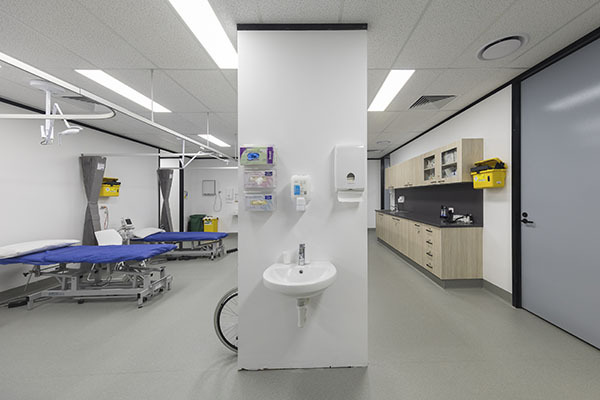 The importance of human centred design and patient flow took high priority during the development of the spatial strategy of the design. These considerations are achieved through the incorporation of self-service iPad systems, appropriate wayfinding and signage, a range of seating configurations to empower the patient with choice and provide privacy, and the implementation of natural elements such as natural timber textures and foliage throughout the space. 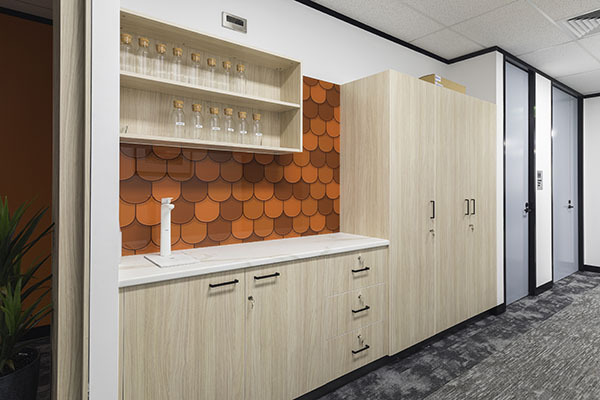 These elements, paired with the inviting colour palette and unique mix of textures, create an engaging, motivating and modern aesthetic, which steers away from any traditional clinical and sterile associations; ultimately adding to a more positive client experience and a higher level of attraction and retention. 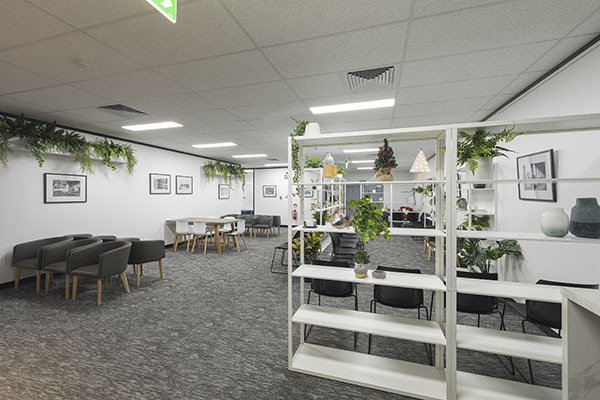 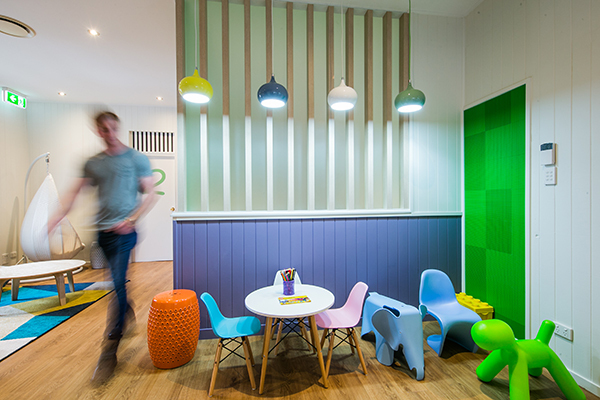 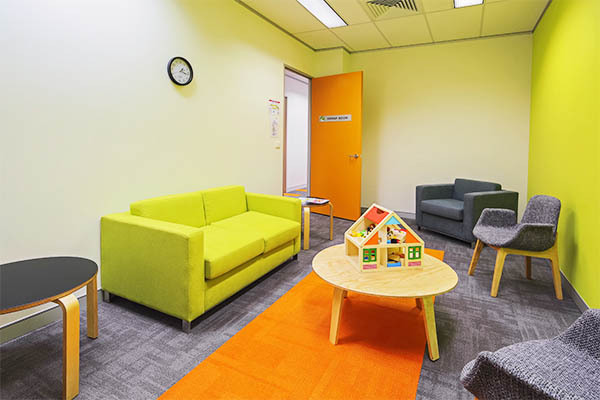 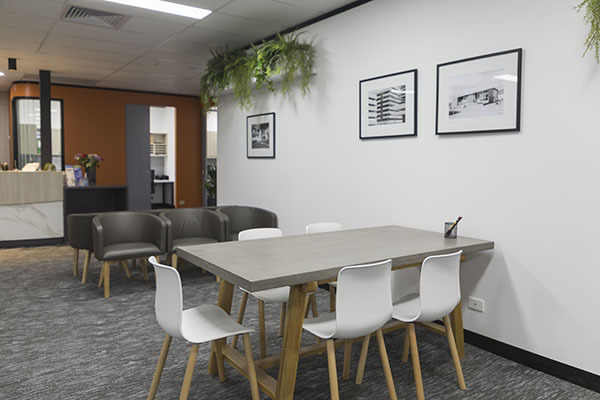 The implementation of a shared breakout area for all tenancies creates a social and collaborative workplace and is a design feature proven to improve workplace morale, productivity and spatial workflow. The utilisation of board rooms, end of trip facilities and staff lockers also contribute to this, whilst providing privacy for all staff members.